Traveling to the west coast for work? 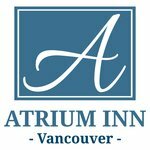 Take advantage of the Atrium Inn’s meeting and event space in Vancouver, BC! Audio visual equipment (upon request) Check out our AV Rates here.